SIT 107 Craig London - A New Beginning (Trance Is Here Anthem). Released on Monday 1st September 2014. 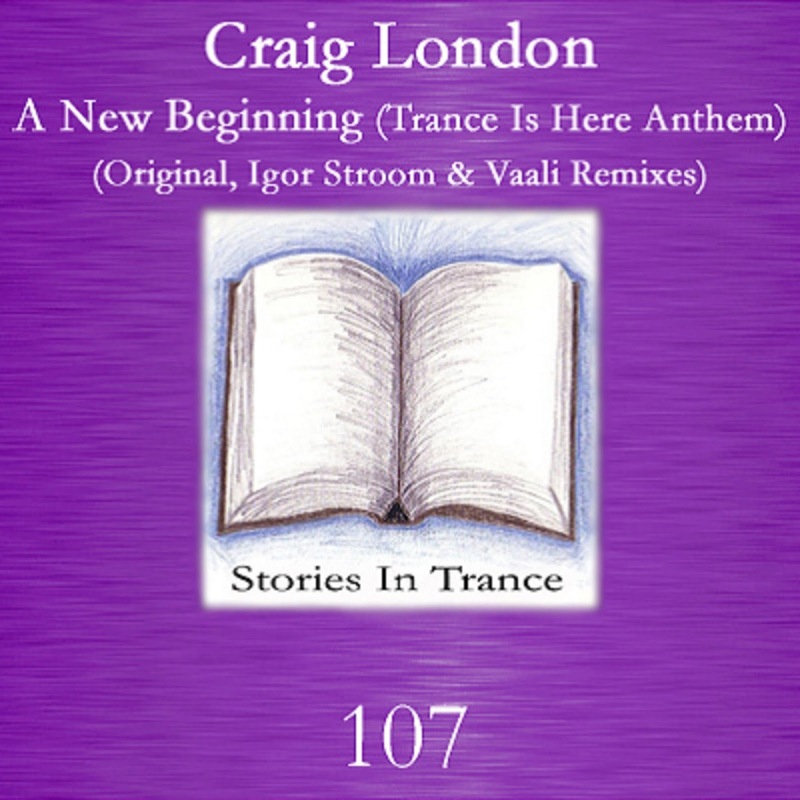 Stories In Trance give you SIT 107 by Craig London with the four track single A New Beginning (Trance Is Here Anthem). Craig's career to date has seen him make plenty of impressive appearances on SIT with some fine remixes and originals, most recently his awesome three track Daydreaming EP (SIT 104). So, fresh from that Craig offers another original written and named in honour of the new Trance Is Here Brand. Showcasing his vast talents with this energetic and infectious track that ebbs and flows seamlessly, this is yet another slice of sumptuous trance that adds to his ever-flourishing reputation. Kicking off the remixes is Igor Stroom. Following on from his excellent remix of Zos Van Zindell's Victorious (SIT 103), Igor shows why he has become one of Eastern Europe's most notable producers. Perfectly using all the highlights of the original with his usual fantastic production technique he takes his remix down a more progressive route. With brilliant use of melodic components underpinned by fabulously rich mids this is a stunning remix from Igor and an awesome addition to his ever impressive catalogue of productions. Sure to be a smash in any set or mix. Up next is the first of two remixes from Vaali. Russian producer Vaali (Arthur Valiev) has a vast collection of excellent tracks and remixes on SIT- recently offering up his fantastic remix of Triumvirate’s The Persistence Of Memory (Centenary Mixes, SIT 100) and his sublime Midnight EP (SIT 106). His first interpretation we get what we know and love from Vaali- power, potency, and wonderful production technique. The immense lead melody is complimented by a deep driving low-end and subtle yet definitive melodic touches, making this an energetic and powerful track from a very creative and talented producer. In addition, Vaali serves up his ‘Alternative’ remix. Taking the original down a more techy progressive route he once again uses the lead melody to great effect, backed with deep, lush mids it all adds up to a creative and unique rethink of the original. SIT 106 Vaali - Midnight EP. Released on Monday 25th August 2014. 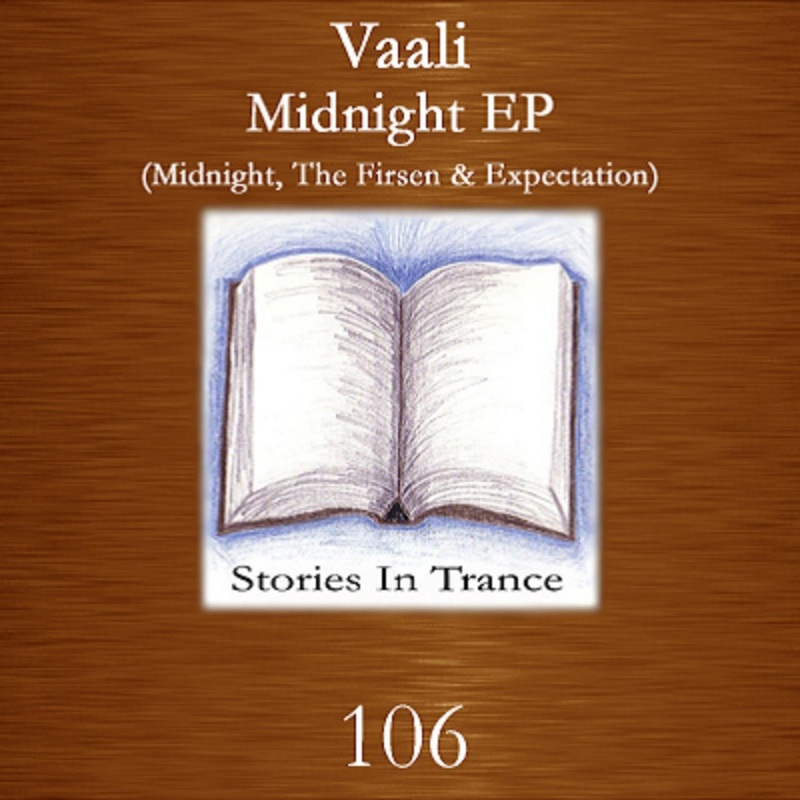 Stories In Trance present SIT 106 by Vaali with the three track Midnight EP, including the tracks Midnight, The Firsen and Expectation. Russian producer Vaali (Arthur Valiev) made his production debut with his fabulous track My City (SIT #81) and since then has backed that up with several excellent tracks and remixes- most recently offering up his remix of The Persistence Of Memory (Centenary Mixes, SIT #100). Once again he shows his vast and varied talents with three excellent tracks, starting with Midnight. In this short but truly superb track Vaali makes great use of every frame, with an immense lead melody complimented with beautifully rich mids, and underpinned with great effect by a deep driving kick which all makes this a fabulous track with an awesome feel. Second on the EP is The Firsen. This time Vaali shows off his more uplifting style but even though this is the faster of the three tracks on the EP it doesn't lack any of the melodic and musical components of the other two. The fantastic lead melody is perfectly complimented by delightful atmospheric touches and the now trademark Vaali production excellence. This is a truly fine track. The final offering is Expectation, and given how high the bar has been set by the standard of the EP to this point you won't be disappointed as yet again Vaali delivers the goods. This is a musical treat that is driven by strong, well defined melody and expertly garnished with subtle yet potent mids, every sound in the track adds something to the overall quality of the end product. It goes without saying that we are huge fans of Vaali's work as his productions illustrate everything that is great about trance, whatever the style.